Say hello to Albert. 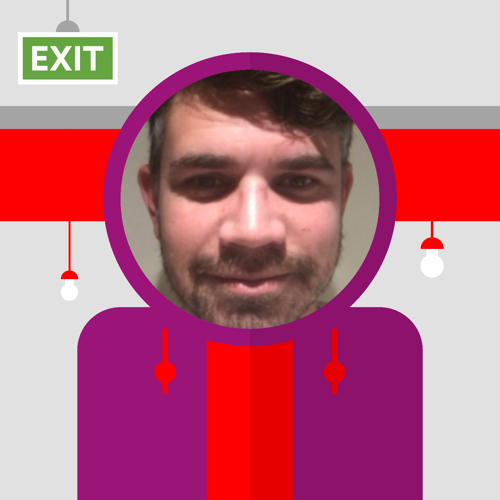 Powered by Oplift, he’s the hero of our e-learning app for Virgin Media’s retail staff. Played on employees own in-store iPads or their personal Android and iOS devices – he keeps 1,200 Sales Execs clued up and in the know. Net Promoter Scores, store visits and customer feedback are important; and they flagged something big – gaps in staff knowledge. In such a fast paced environment and with limited time it was increasingly difficult for staff to remember everything about new products, offers and compliance. There are three daily challenges for staff to complete. They receive experience points (XP) every time they play and boost their score by answering correctly. The leaderboard shows who knows their stuff. Expect speedy results – Virgin Media saw an increase of 7.4% in their knowledge rating from customers in just three months! Along with a 2.2% average increase in sales every single month! Staff win spot prizes whenever playing and at the end of each week everyone in the store gets together for the live weekly 'Buzz Session'. The location's weakest questions show up and the whole team answer them by buzzing in from their devices. Albert doesn't just plug the knowledge gaps, he finds them too! Using data captured from each game played he'll show questions where staff scored poorly in. This allows these weaker questions to be repeated - reinforcing knowledge through repetition. Virgin Media have seen scores double from this! More motivation – with a live leaderboard, prize incentives and interactive games, staff are more likely to want to play. This leads to more successful training because the level of time spent doing it dramatically increases and the competitive element keeps them going back for more. No letting go – When learning is fun, memory retention increases because learners actively participate more, so they are more likely to remember what they have learnt without even realising it. It’s fun! – If we’re honest not many people look forward to the dreaded words ‘training session’ using games allows you to make training more engaging and interactive. It also means that learning happens daily as opposed to mass one-off sessions which can become boring and not very effective. It never gets boring answering questions in Albert. 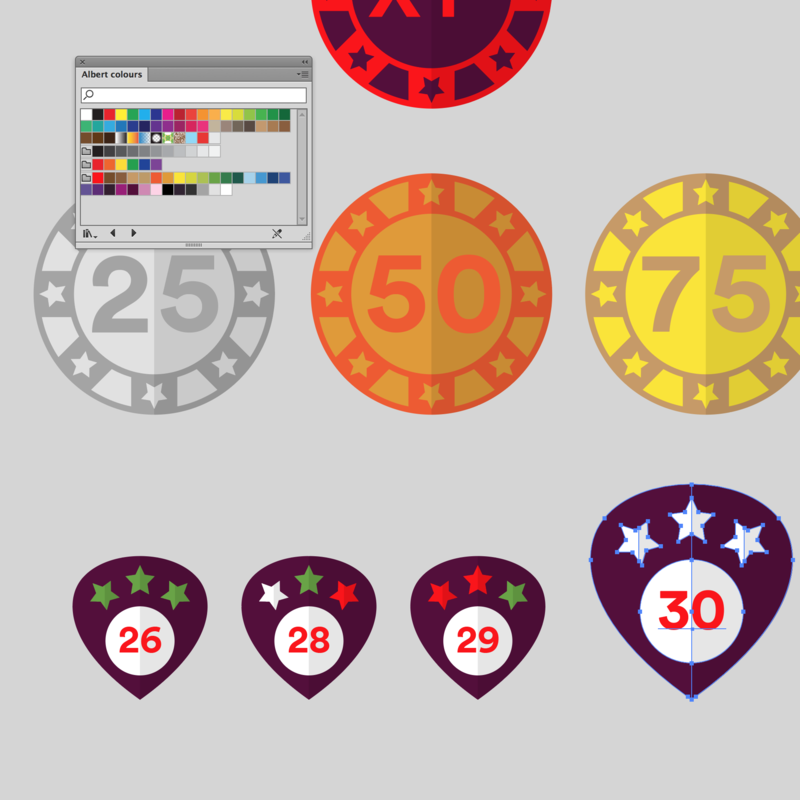 Players are given XP for attempting the question and rewarded bonus XP for getting it right. Helpful and useful feedback is given once questions are answered, bridging any knowledge gaps whilst providing more context. Staff engagement can be evidenced through employee surveys which highlighted that 65% of employees play in their own time, and 97.5% like or love playing Albert. Castle WiFi is in peril! 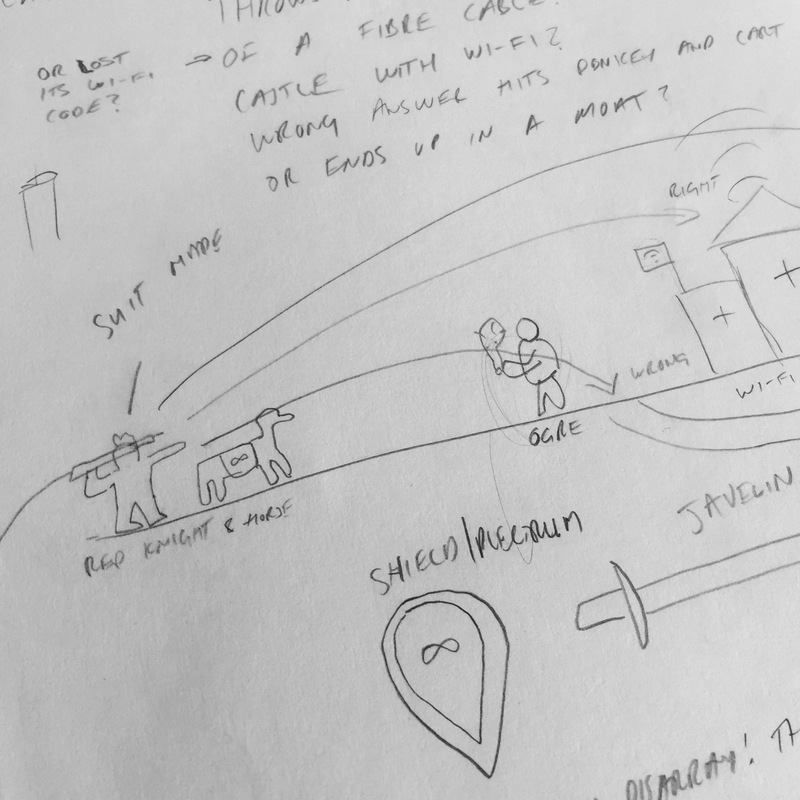 Its townsfolk have no connection and need the help of the brave WiFi knight and his trusty cable lance. 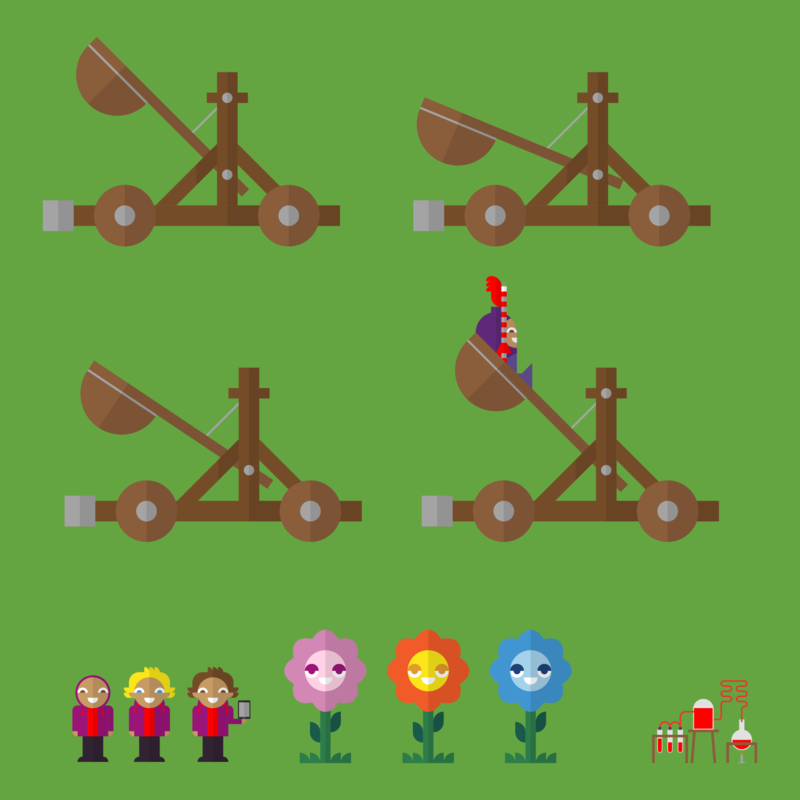 Answer the random multiple choice question, pull the catapult arm towards the correct answer and launch the knight towards Castle WiFi. Step into Albert's lab of wonder and gaze upon his question board. Albert will pose to you a question that you must answer with A, B or C? No pressure, the genius that is Albert awaits your answer! Keeping Albert fresh is key to driving usage, so we recently added Shootout. In this penalty shootout staff have to shoot the football into the goal every time they answer a question, being sure to hit the correct answer and beat the troll keeper. 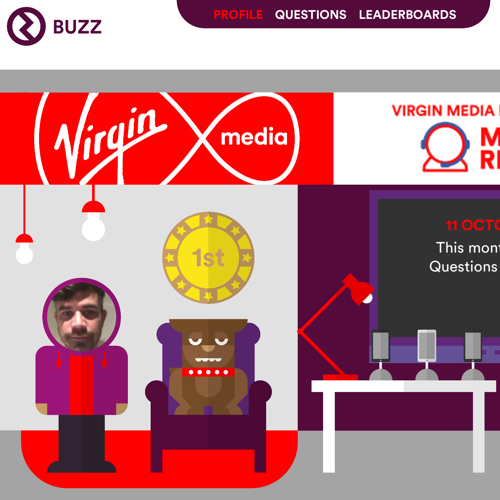 Every week Virgin Media store staff are able to call a Buzz session. Buzz is a group based quiz show with staff competing against each other to win shared bonus XP. The Store Manager, our quiz host, reads staff their weakest questions from the previous week. Staff can then buzz in to answer. Freestyle Buzz lets the Store Manager undertake an off the record quiz to fill any knowledge gaps they notice. 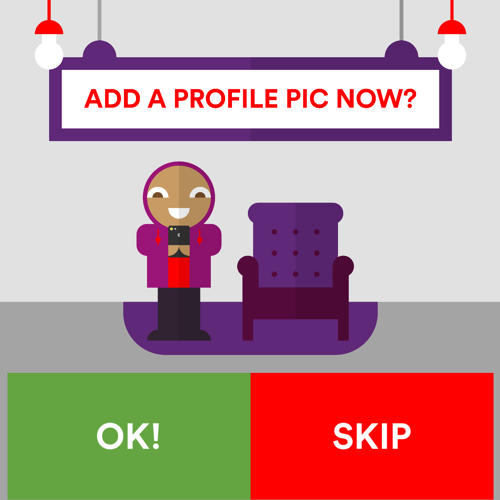 Albert let’s you take a profile pic so you can personalise your app – we like to call it Einstagram. Snap your best side and your colleagues can whack you away in Whack-a-col! 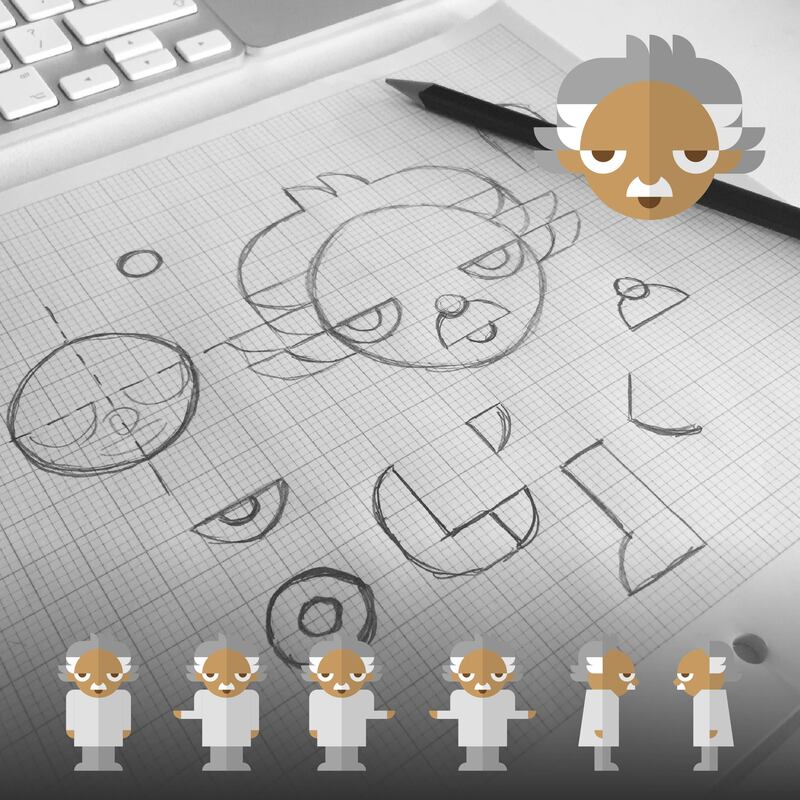 We wanted to create a look and feel for Albert which was engaging and fun. 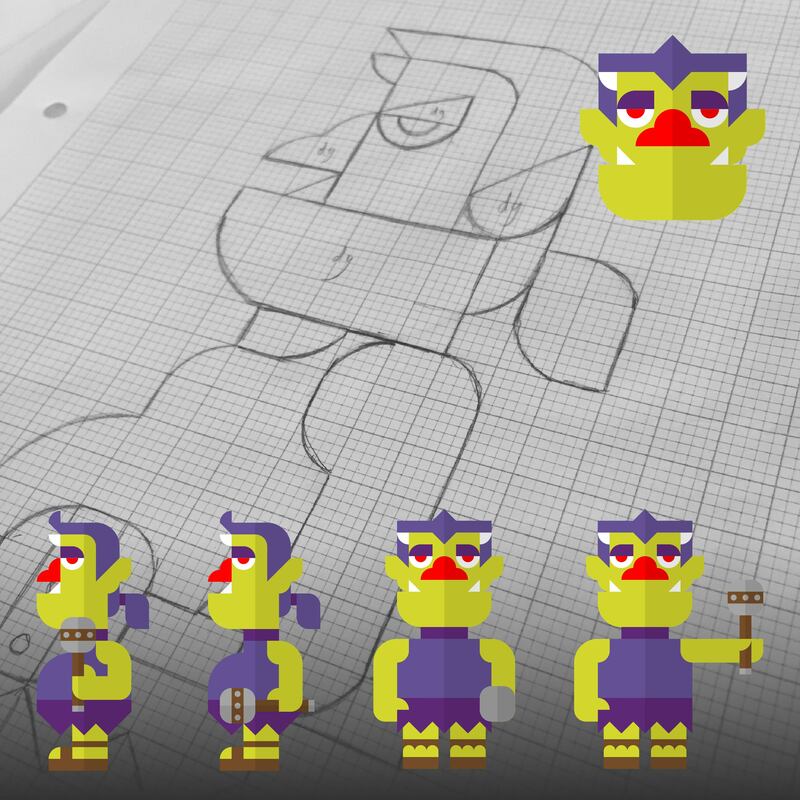 The game styles called out for characters to populate this world of Albert. 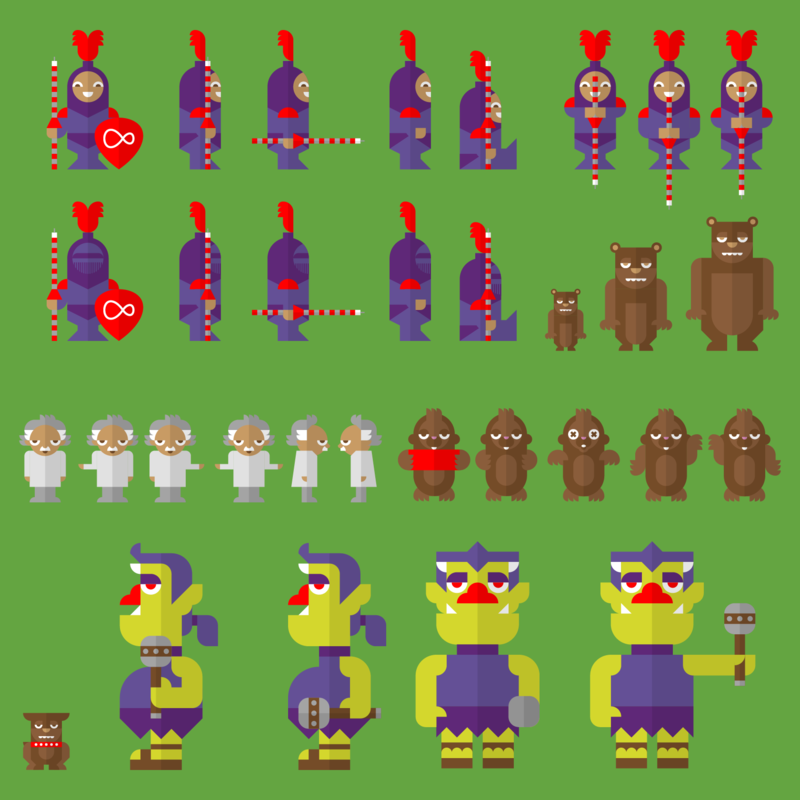 Moles, trolls, bears, flowers and of course Albert were fleshed out in pencil, pixelated and made real. We took inspiration from geometric style patterns, 80’s early morning cartoons and Super Mario Land amongst others. If you need help increasing your workforce’s in-store knowledge get in touch!